The National Issues Forums Institute (NIFI) has announced the recipients of this year's Taylor L. Willingham Legacy Fund awards. They are Rodger J. Pinto, and Se-Hyoung Yi. Taylor L. Willingham Legacy Fund grants are provided to individuals to enable them to develop an understanding of deliberative democracy and launch one or more deliberative dialogues in their communities and organizations in order to advance NIFI’s overall mission, which is to promote public deliberation about national issues and to coordinate the activities of the National Issues Forums network. Rodger J. Pinto is a student of Political Science and Public Affairs at Indiana University South Bend. From 2008-2014 he served as an infantry paratrooper in the United States Army's 1st Special Troops Battalion, 82nd Airborne Division. Rodger serves the veterans community as President of the Student Veterans of America at Indiana University South Bend acting as an advocate for student veterans and their families. Through his work as an intern with the American Democracy Project, Rodger regularly participates in public engagement projects and deliberative dialogues throughout northern Indiana. Upon completion of a Master of Public Affairs, Rodger plans on attending law school and returning to public service. Pinto will be using the grant award to convene a four-part series of deliberative dialogue events intended to introduce Indiana University Sound Bend students, and the wider community, to deliberative dialogue as a way to discuss public issues. The series will begin with an event to introduce deliberative dialogue, and will be followed by three forums focused on the issues of immigration, climate change, and poverty. Forum participants will use National Issues Forums Institute (NIFI) issue guides as frameworks for the deliberations. 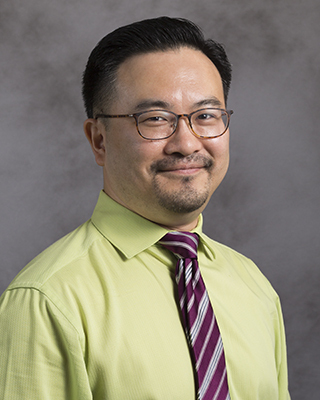 Se-Hyoung Yi is an assistant professor of political science at the University of Houston-Clear Lake (UHCL). Yi received his master's degree and doctorate in political science from the University of Wisconsin-Madison. Originally from South Korea, Yi’s interest in deliberative dialogue grew out of his personal experiences in Korea where ideological polarization has frequently defined the political choices of citizens. During his time at the Charles F. Kettering Foundation as a research associate, Yi witnessed that deliberative democracy was not just a scholarly and theoretical endeavor but had a genuine power to build a community where citizens work together to tackle their shared problems despite their inherent differences. Yi’s research addresses how tragic sensitivity found in Greek dramas and early Confucian writings elaborates contemporary theories of deliberative democracy towards a more inclusive way. Yi incorporates deliberative pedagogy in his classrooms, helping students weigh different ideas and opinions about the difficult issues in Texas and in Houston, such as immigration, energy, and gun policies. Since 2017, Yi has partnered with Dr. John J. Theis at Lone Star College-Kingwood to kickstart the deliberative dialogue movement at UHCL and the neighboring Clear Lake area. Yi serves as faculty advisor to the Political Science Student Organization at UHCL, and the organization has become a center to moderate campus forums and train student moderators. As the recipient of the Taylor L. Willingham Legacy Fund award, Yi plans to continue to host five campus-wide deliberative forums and two moderator training sessions in 2019.